During the summer months when it is hot outside it's wonderful to serve guests lighter treats and baked desserts when they come over to visit! 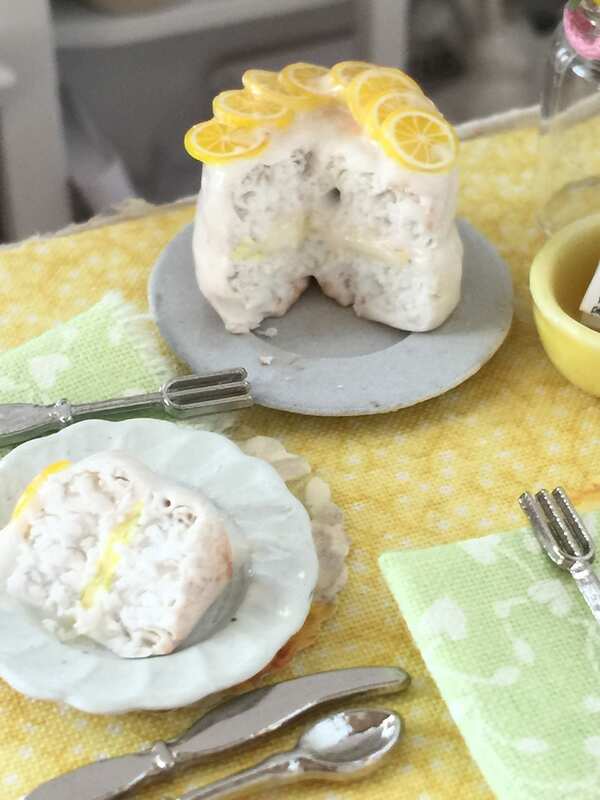 This white cake is iced with lemon glaze and the topped with thinly sliced lemons on top. This is actually one of our favorite desserts in real life. We serve it with sweet tea and lots of ice. 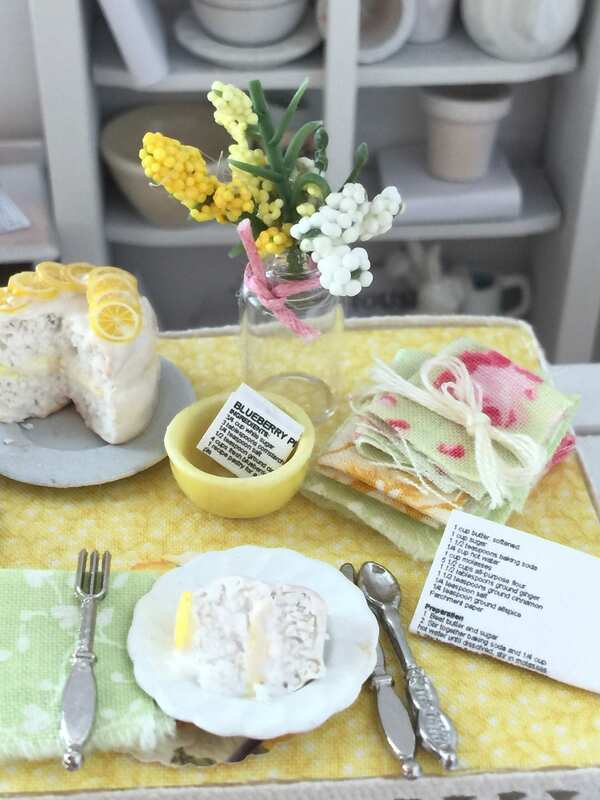 In the little yellow bowl is a replica of an old recipe card. A glass jar filled with little summer flowers. 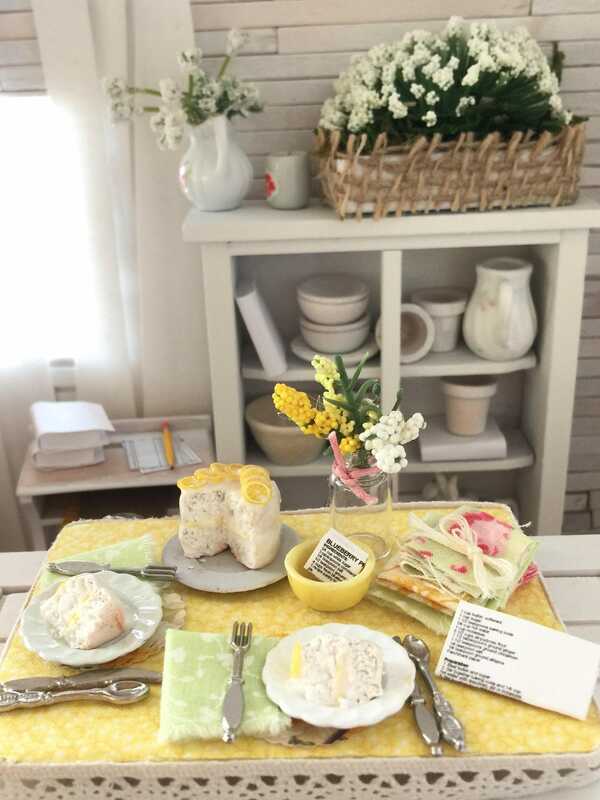 Next to it is a bundle of summer napkins folded and tied with a bow in case more guests show up for dessert! 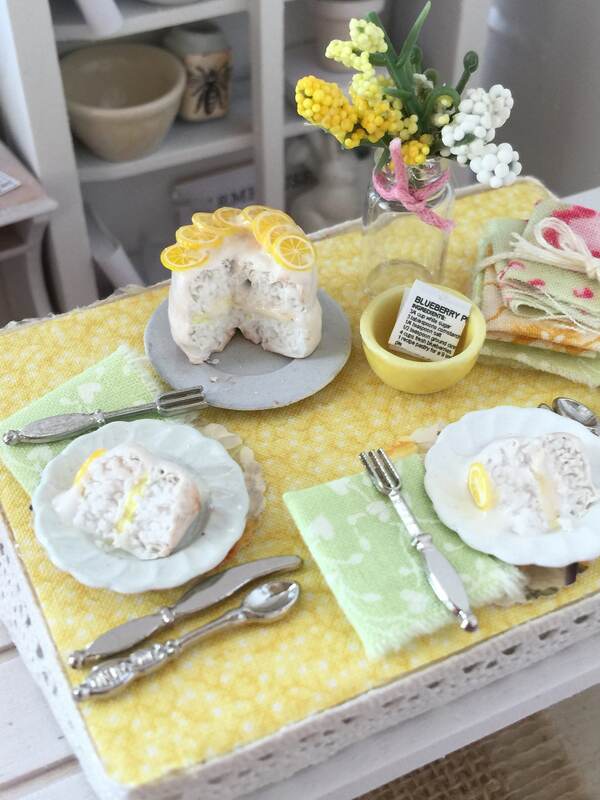 The cake is made from polymer clay and not edible but it sure looks delicious. All items are not glued down but can be moved around if desired. 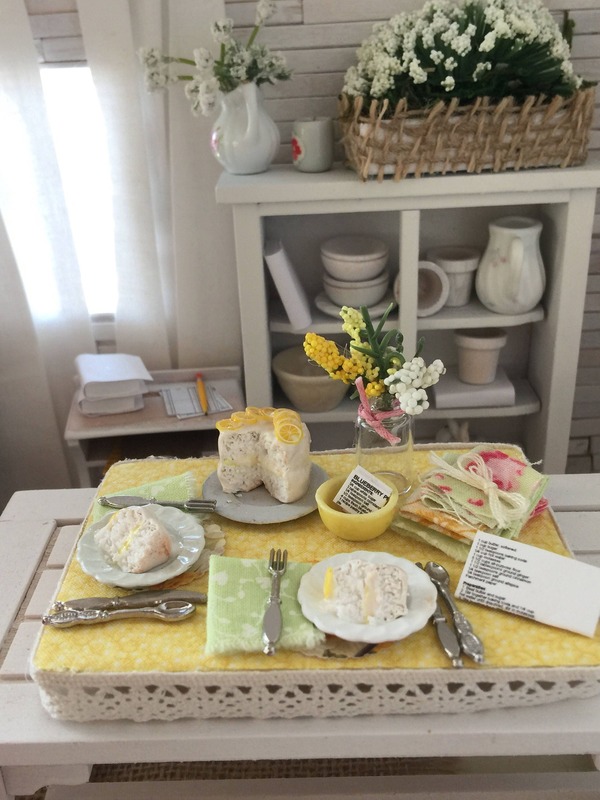 Board is covered with pretty yellow fabric and edged with creamy cotton lace. The servings include dishes, silverware and napkins. Board measures 2 1/2" x 3 1/2"